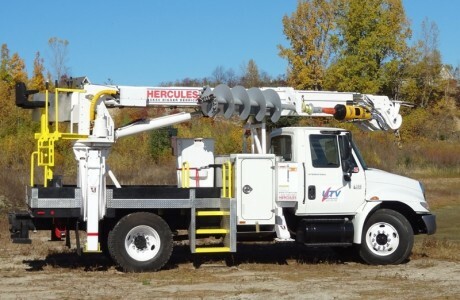 UTV International and its predecessor VMC Right Track has manufactured tracked vehicles since 1995 & truck mounted digger derricks since 2004. The very first track built is still in service today in the Oil Sands in Alberta. 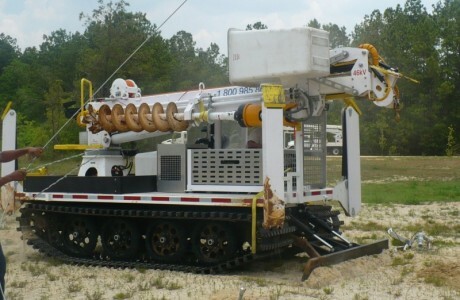 The first truck mounted digger derrick was a 4,000 lb max lift, 40 ft bucket reach Hercules still in service in Texas today. 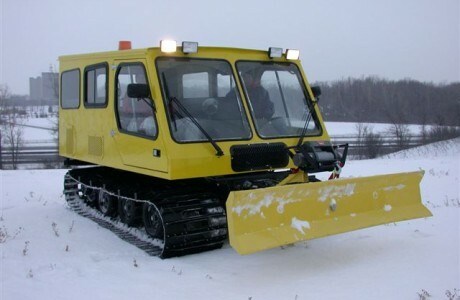 Our vehicles are used by forestry, mining, power and telecom companies and the ski industry. Some of our customers include: Verizon, Bell, National Grid, Rochester Gas & Electric, First Energy, Nashville Electric Service, SaskPower, Wisconsin Public Service as well as many coops and contractors. Our design, engineering, manufacturing and test facilities are located in Montreal, Canada near the International Airport allowing prompt delivery of replacement parts anywhere in the world. With our Regional Dealers we can service and provide support for every machine we have made. 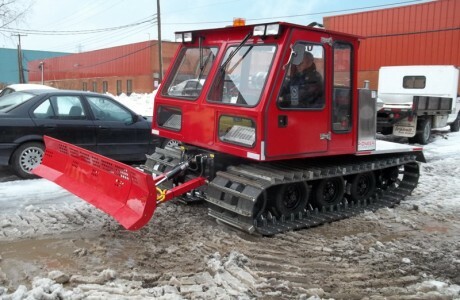 UTV manufactures tracked digger derricks, truck mounted digger derricks, tracked utility vehicles as well as snow cats, snow groomers, personnel carriers and tracked rescue vehicles. Whatever your vehicle need is, give us a call.